I bought some chicken keema(minced chicken) from market, but this time I didn't want to make the usual keema curry with this. Then I remembered, I wanted to make this Shammi kababs at home for long time, after I tasted this kababs in a restaurant, I just loved this. So decided to give it a try. Shami Kebabs are a delicious combination of mince meat, gram lentil and spices. It is very popular in India and Pakistan. 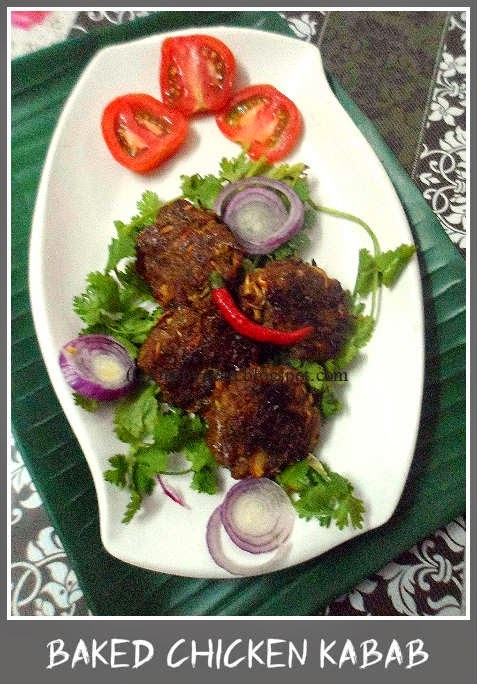 Shammi kababs are traditionally made with minced lamb meat, but one can substitute it with chicken. 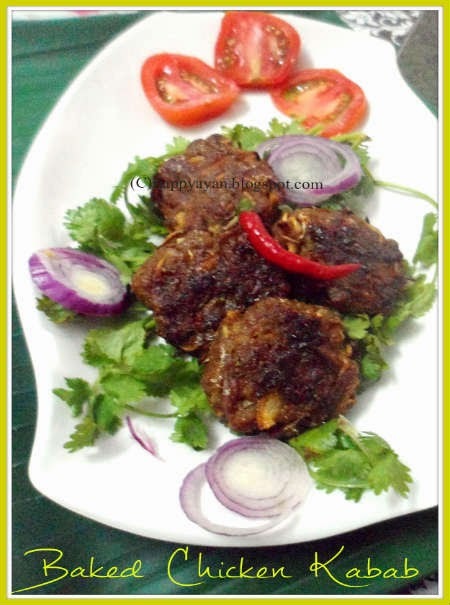 It is perfect to serve as side dish, appetizer or evening snack or you can also use these kebabs to make burger. Usually, shammi kababs are shallow fried on pan but I decided to make it more healthy, so baked them with almost no-oil. I skipped the lentil, as I decided at the very last minute, but without the lentil also I tasted totally yummy, So i can't name it as Shammi kabab. 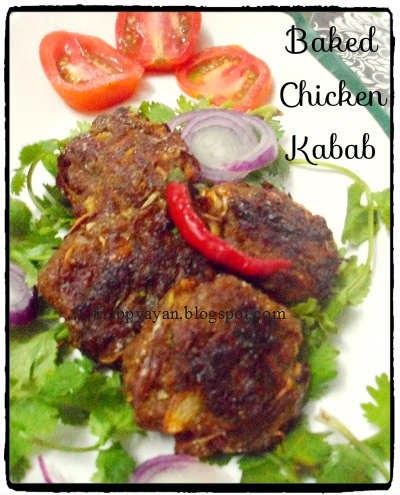 For this kabab, you need no preperation but within very less time you can serve some mouth-watering and very addictive appetizer or side dish. Minced Chicken(keema) : 300 gm. Ginger paste : 1 tblsp. Ina bowl, take the minced meat first, in there add all the other ingredients one by one except breadcrumbs. then give a good mix with your hand. After mixing, if the mix feels and looks little watery, add little breadcrumbs to the mix and mix again till all the water are absorbed and you can make a round ball out of the mixture. Then flatten the round ball into round shaped patty/disc. Pre-heat your oven to 180 degreeC or 375 degreeF. Line your baking tray with some parchment paper or aluminium foil. Brush a little oil on the foil and place the kababs on the foil leaving little space in between kababs. When one side turns brown, revert to teh other side, brush little oil on top. Bake them for 20-25 minutes on each side. Loved the idea of baking the kebabs...shall try your healthy take on it.